Our homie Statik G hit us up this morning about a tour being headlined by KXNG CROOKED that starts up tonight! 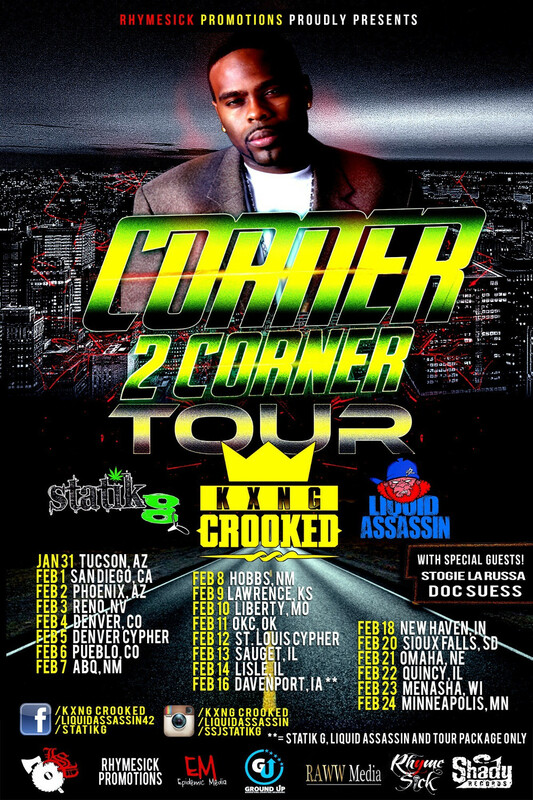 The tour is called the Corner 2 Corner Tour, and features performances by Statik G and Liquid Assassin! The first date is TONIGHT in Tucson, AZ, and ends on February 24th in Minneapolis, MN! Show up and show some support!